For the first time in the series, the expansive land of China is shown on a single map with the introduction of an open world format for diverse progression through the game. The 'one vs. thousands' exhilarating action of the Warriors series and the beloved characters from the Romance of the Three Kingdoms tale are carried over, but the freedom through an open world stage provides a brand new Warriors experience. Key Missions unfold and progress the story of the player character, and are supplemented by numerous missions from various regions such as Regular Missions that affect the Key Missions and requests from other characters. The situation will be ever changing depending on what missions are selected. 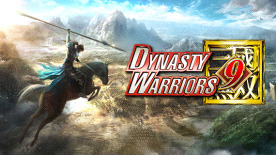 In the many battles that occur on the map, players will find a variety of strategies and tactics open to them such as "attacking head on," "launching a surprise attack from an elevated position" or "infiltrating at night", for numerous ways to enjoy the expansive world of the Three Kingdoms. The new State Combo System reacts and responds to the surrounding conditions, building up on the base Warriors action system. The three core elements are: "Flow Attacks" that change depending on an enemy's state; "Reactive Attacks" that optimally adapt to situations; and "Trigger Attacks" that change an enemy's state. ©2017 KOEI TECMO GAMES CO., LTD. The KT logo is a registered trademark of KOEI TECMO HOLDINGS CO., LTD.